I want to make known to you a few resources on the net that you might find helpful. Two are author websites that have lots of articles, or audio or other files and downloads that supplement their book. 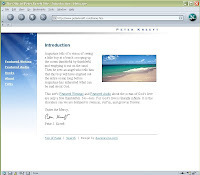 One is a website that makes Christian books and talks available in CD and MP3 formats. And one is the best bible software I have ever use. Peter Kreeft is a catholic and Christian apologist. He has written such a wide range of books is sought out as a preeminent thinker in these areas. His site has over 3 lectures you can download and listen to, and hundreds of articles to read. 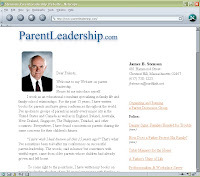 James B. Stenson is an educator, write and speaker. He has written extensively on parenting and specifically on fatherhood. His books that I have read are excellent and he has many articles and papers available for download on his site. R.B. 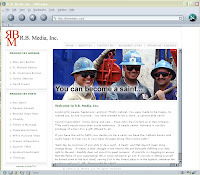 Media, Inc. is the project and brainchild or author and speaker Mary Ann Budnik. She has been coordinating and distributing Christian classics in audio formats for years. She has been converting audio books to MP3 books and the list of resources available on her site is impressive. 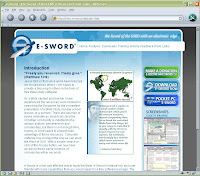 e-Sword is the single best electronic bile I have ever had for the computer. Free to download and lots of add on’s for free also. Some of the specific translations have a fee. Yet you can download Josephus, Philo, Bible Maps, Green NT … all for free. Easy to use and configure. Great for comparing translations, an excellent resource. This is one of those great little books either for yourself or to give as a gift to someone else. Perfect for a first communion, or even a confirmation gift. This new book has a great collection of prayers. It has prayers for before mass, during mass, after mass and for Adoration of the Blessed Sacrament. It draws heavily upon Ecclesia de Eucharistia by Pope John Paul II. And actually seems to be written in appreciation of that document and to help people of faith put that document into a fuller practice in their lives. The book is nice visually with a number of images, and like most gift books color glossy photo embedded pages. It is a good study hardcover that will last the usage of time. This is a book that any Catholic home library would benefit from it’s inclusion. 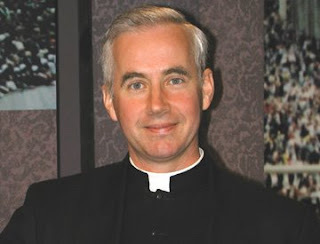 Father John C. McCloskey is a priest of the Prelature of Opus Dei and a research Fellow at the Faith and Reason Institute. Father John's articles and reviews have been published in major Catholic and secular periodicals, including Catholic World Report, Crisis Magazine, The Wall Street Journal, National Catholic Register, Washington Times, the New York Times, and ACEPRENSA. Fr. John puts together a list of one hundred essential Catholic books for your library. 2006-08-04 Some of this weeks readings and thoughts. I am reading an amazing biography called Pilgrimage and Exile: Mother Marianne of Molokai by Sister Mary Laurence Hanley, O.F.S. an O. A. Bushnell. It continues my readings on the lepers in Hawaii. This is an amazing story of a woman or extraordinary grace, wisdom and leadership. It is a bit of a slow read because of the language and extensive quotes from the period of late 1800’s and early 1900’s. But it is worth every minute spent reading. I am also reading Scott Hahn’s Swear to God, Michael W. Higgin’s Stalking the Holy and will review both of them in the near future as well. As well, I am continuing to read the three books The Way, Furrow and The Forge by St. Josemaria Escriva. Almost every time I pick them up, some point for reflection or for application to my life strikes me again. I keep them on my bedside table and try to read a few pages every evening and every morning. Today these 4 points from Furrow really struck home. “A great sign appeared in Heaven: a woman adorned with the sun, with the moon under her feet, and a crown of twelve stars about her head." From this, you and I and everyone may be sure that nothing perfects our personality so much as correspondence with grace. Try to imitate the Virgin Mary and you will be a complete man or woman. I cannot recommend these 3 little volume’s enough. Either as the combined edition or as 3 individual books, they will challenge you to grow in the application of your faith. Molokai is a film that achieved a fair level of success and popularity at the film festivals around the world. The film was a surprise on many levels, especially because when it was first released Molokai was immediately shelved in North American markets under the assumption of distributors that these audiences would not want to watch a film about a man who served as a priest in a leper colony until his own death of the disease. Paul Cox, who directed the film, is known as Australia’s Atom Egoyan. Most of his films have weird twists that throw the audience. Now available on DVD in Canada, this film is a powerful and moving story on the level of The Mission with Jeremy Irons and Robert De Niro. A story of the triumph of human nature, Molokai is closely based on a true story. volunteered for service on the Hawaiian leper colony of Molokai. 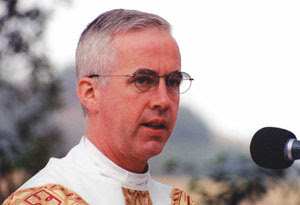 For 15 years Damien ministered nearly single-handedly to the quarantined community, supplying what medication he could procure while struggling against the red tape from organizations (religious and governmental) that would rather have forgotten all about the thousands of people dying in primitive conditions on the Island of Molokai. He won some battles and lost others, finally succumbing to the disease himself in 1888. The films earnestness led to the who's-who supporting cast (Sam Neill, Derek Jacobi, Peter O'Toole, Leo McKern, Kate Ceberano and Kris Kristofferson), but it is David Wenham who must carry the film as Damien, which he does spectacularly and with a touching humility, but with the spirit to fight for those he serves, in the midst of such conflict. Director Paul Cox was inspired in his choices of choosing scenes to highlight 15 years in a single film not two hours long. He uses amazing cinematographic tools to convey the story and the passage of time, a tree stand planted by Damien, the many construction projects he carries out, and watching ‘Little Bishop’ grow up and pass away. Pay particular attention to the music, and the use of the sound of the wind as the film progresses. The Toronto Globe and Mail stated about the film “A Triumph of the Human Spirit!” But though this film did well at the film festivals it had little or no mainstream release in North America. As such the DVD is left to stand on the power of the life story told and the cinematography and power of Cox’s direction. The only special feature on the DVD is the making of documentary with interviews of cast and crew, and the Samoans who played the roles of some of their own ancestors. This standalone documentary on the film more than justifies the purchase of the DVD. Many of the older cast - Kris Kristofferson, Sam Neill and Peter O'Toole - speak of their experience in interacting with this story and knowing it from childhood. Watching them in costume on the windswept shore of Molokai speak about Damien one can not help be see Damien’s own contemporaries, who were buried around him on the piece of rock. Though not a happy story - not a story of success or a story of achievement, Molokai is a story of service and love and dedication that cannot help but touch your heart. Note: Yes I wrote a different review of this movie earlier, this is a new review of it recently published. This book is part academic treatise and part faith discovery. Hahn states in the introduction that he is writing this book for both his university students, and for the general population - readers of his many popular books on all things Catholic. Letter and Spirit is a study of how scripture is central to the mass, and how the eucharistic life is central to the word. It is a study of scripture and liturgy. The book shows a clear progression in the life of the faithful from receiving the written word to the living word in the liturgy. But that is just the beginning of the story; the church is still developing. “Much work needs to be done. There are books to be written, studies to be undertaken, sermons to be preached, prayers to be raised, and ordinary lives to be lived.” (p.172) This book could easily help those with faith to explore that commitment a much deeper level. A strong reason for this is because it is both academically oriented yet written to be accessible to any reader. It is also written in a clear concise manner that makes the book hard to put down once started. It will open up as easily to a person of faith as to someone who just wants to understand people in their life who have faith. Its succinct prose and plethora of quotes from history will show both groups the progression of thought throughout church history. And yet this book will likely not be accepted by much of its target audience because of Hahn’s past, because he recently announced that he is a member of Opus Dei (an organization within the church misunderstood to be extremist), and because has a book on that topic coming out later this year. Here the issue of authorial integrity comes very much into play. As such, though this book has much to offer, its fate and worth hang in the balance. Will it be received for the treasures within or rejected for the author’s past and associations? Trite as it must sound, only time will tell. Note: Yes I wrote a different review of this book earlier, this is a new review of it recently published.